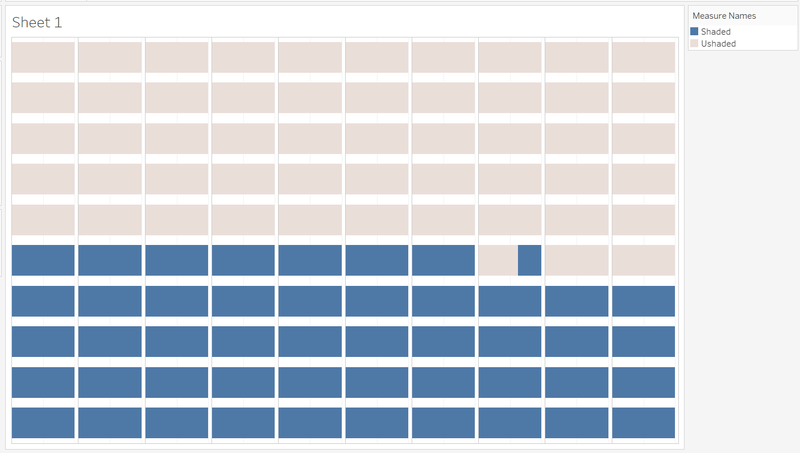 Waffle chart is a 10 X 10 cell grid in which each cell represents 1 percentage point summing up to total 100%. 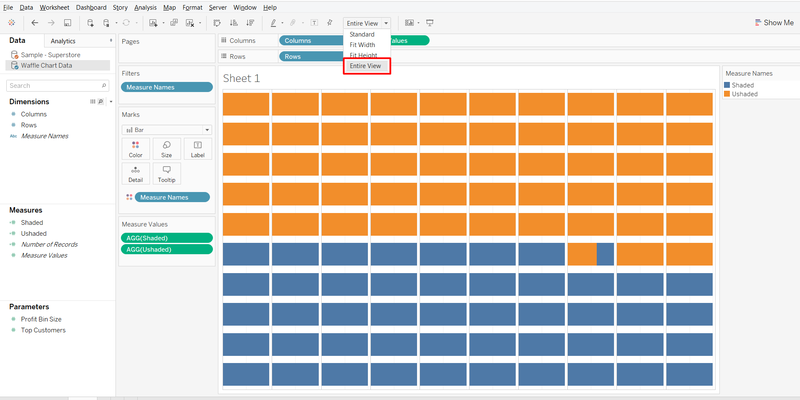 Waffle charts can be represented with conditional formatting where cells are highlighted with different colors based on the percentage value of that KPI. 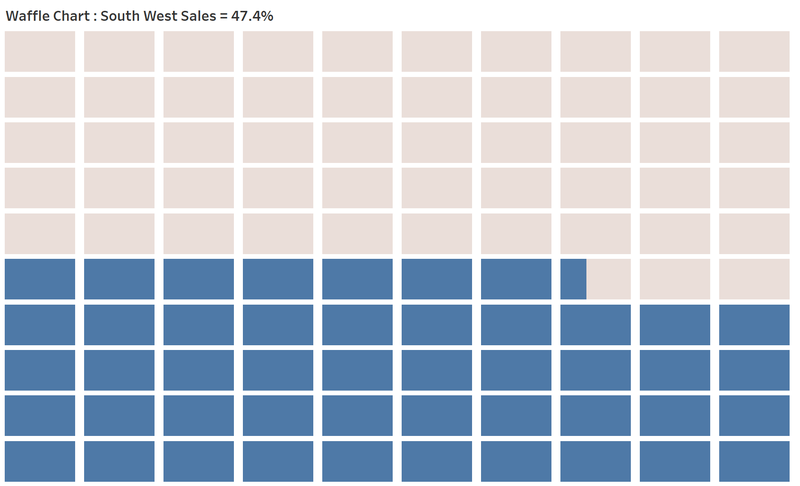 Although we can notice that the use cases of Waffle chart are similar to the Donut Chart but, Waffle chart represents the 0-100% KPI attainment or overall percentage value in a more visually appealing way. 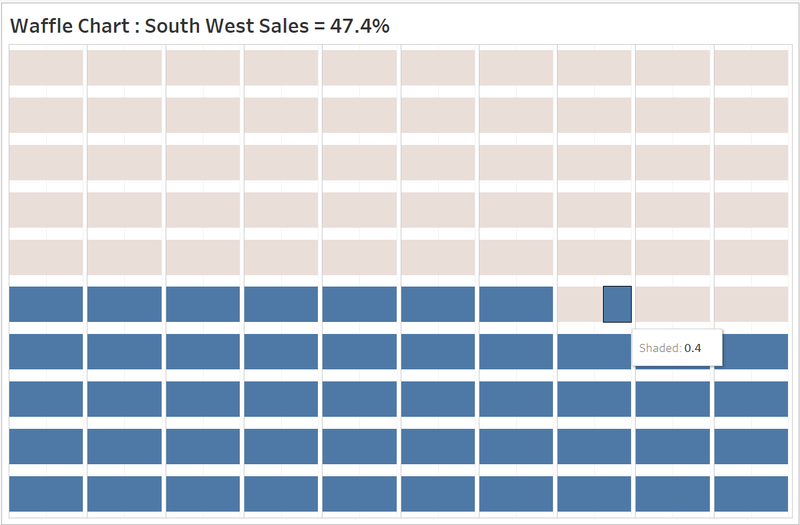 Let consider our objective is to build a Waffle chart to show the overall percentage sales of South and West regions together. 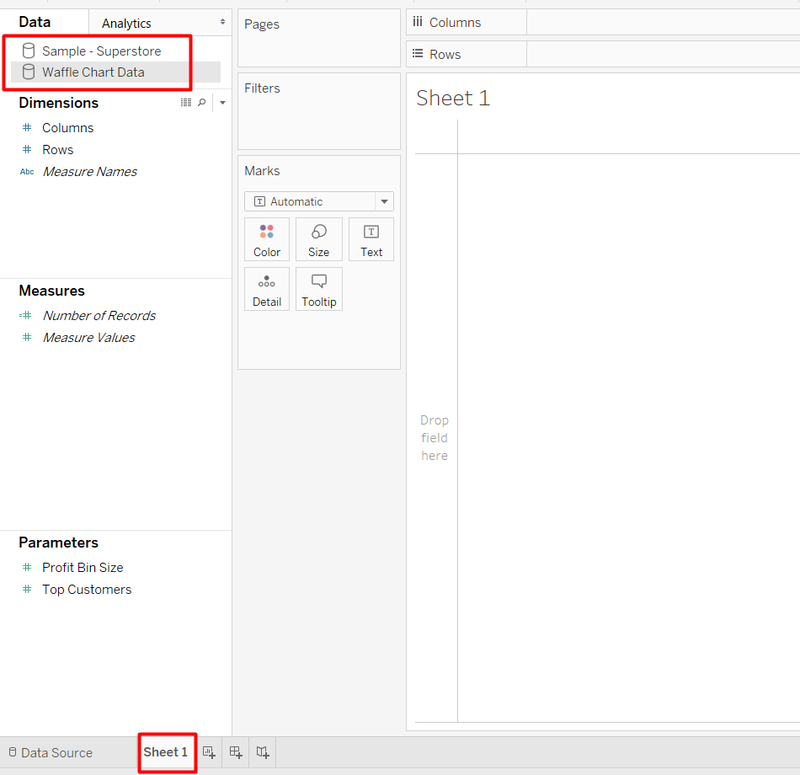 “Sample – Superstore”: It is the in-built tableau data source. 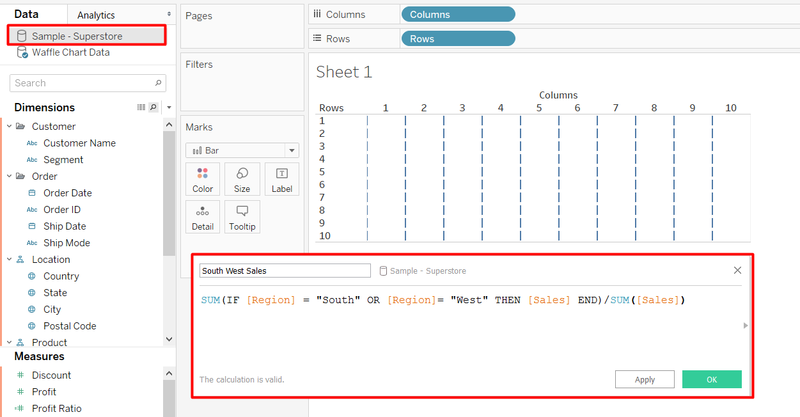 This data source is used to get the total percentage of sales of South and West regions.